Up until Ethan & Harley were 10 months old, we thought they were fraternal (non identical) ‘DCDA’ twins – as they were in separate sacs/placentas. We could always tell them apart as to us they had a different head/face shape (Ethan’s head was more cone shaped after a natural birth as he was stuck there for a while clearing the path for Harley ) however our family/friends & strangers couldn’t tell them apart always asking if they were identical, and we kept explaining to everyone that they are siblings so of course they are going to look very similar! 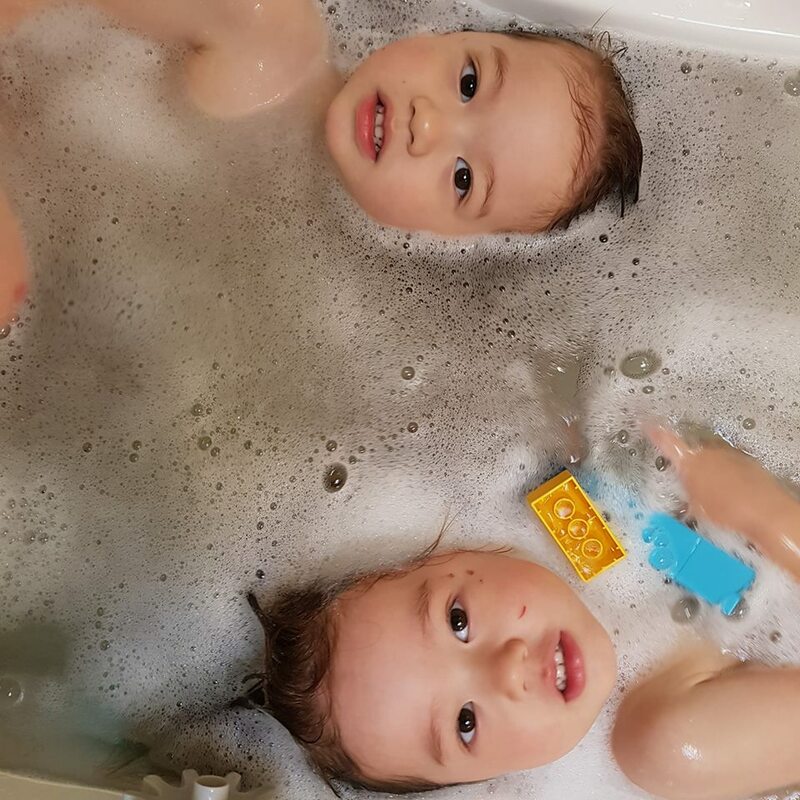 Their milestones, height, and weight were eerily always nearly identical since birth so we decided to get a twin zygosity DNA test by EasyDNA when they were 10 months old just to be really sure. And what do you know, we found out they were in fact identical twins with identical DNA! 30% of ‘DCDA’ Dichorionic Diamniotic twins (separate sacs/placentas) are identical twins and the only way to confirm this is via a DNA test after they are born! In comparison, Camilla & Madison are ‘MODI’ Monochorionic Diamniotic twins (2 sacs/1 placenta) so we knew very early on in the pregnancy that they were identical twins. The way the placenta/sacs form for identical twins is determined at how early on the fertilised egg splits (ie. the boys fertilised egg split earlier than the girls).